Why am I excited that Growing Power is garnering all of the attention, despite the fact that there are other noteworthy urban gardens? Because it is not your average community garden (not that there really is a typical one). As of last year, when I to ured the facility, Growing Power was composting approximately 500 tons/year of organics at the urban center, and another 3,000 tons/year at a 40-acre rural farm it operates. Growing Power composts brewers grains, wood waste, preconsumer food scraps and coffee grounds, most of which it collects (coffee grounds are delivered). At the rural farm, composting primarily takes place in windrows, with worms added toward the end of the process. At the urban garden, materials are processed in vermicomposting bins, an outdoor windrow and in an anaerobic digester. One of my favorite aspects of Growing Power is that all of their operations are set up to not only be pro ductive, but as demonstrations -- systems that can be easily replicated in other communities. For instance, they offer training workshops on how to build aquaponic growing systems (left). Auaponics integrate elements of hydroponics and aquaculture, creating a symbiotic system for growing fish and plants where the fish waste becomes nutrients for the plants, which in turn purify the water for the fish. About 100,000 pounds of organic produce are grown annually at the 2-acre garden, and sold at an on-site retail store, through its market basket program, as well as to restaurants and food co-ops. This high production requires a lot of compost to replenish the soils. Growing Power doesn't only get invaluable nutrients by accepting all of those tons of off-site organics, it provides a sustainable solution for the community's waste. Diverting organics from the landfill, and returning it to the soil through composting, is an endeavor that I'd like to see more urban gardens take on. Check out the article I wrote: "Composting And Local Food Meet At Urban Garden." 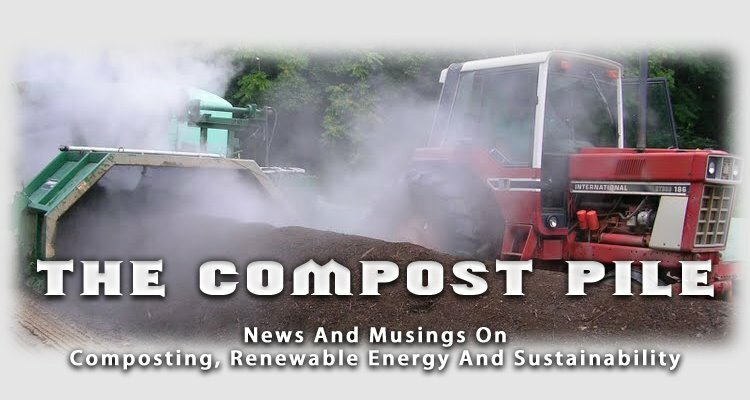 I'm an environmental writer and consultant, and started this blog as an outlet for all of the interesting news and tidbits I come across while researching compost and sustainability.